This year freedom day marks a new era in South Africa where renewed leadership in government can regain the people’s confidence by committing not only by word but by reinvigorated actions to hold those accountable for gross human rights violation with impunity, fraud, corruption, and for encouraging the systematic breakdown of the rule of law. The Freedom and security of the person, which includes the right not to be deprived of freedom arbitrarily or without just cause; not to be detained without trial; to be free from all forms of violence from either public or private sources; not to be tortured in any way; and not to be treated or punished in a cruel, inhuman or degrading way, are fundamental human rights which are enshrined under the section 12 of Bill of Rights, which is the cornerstone of democracy in South Africa. It promote the rights of all people and affirms the democratic values of human dignity, equality and freedom, which the state must respect, protect, promote and fulfill in accordance with international and regional obligations. 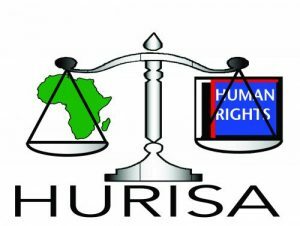 However, South Africa’s human rights record has deteriorated and regressed to the levels similar to the dark era of injustice that targeted individuals as well as associations from exercising their human rights. . The hardship of apartheid specialised in demeaning people’s human dignity and subjected them to inferior living conditions, with poor education and exclusion in politics and from benefiting equitably in the country’s social and economic plans, have not been yet redressed under the new democracy in 1994, which gives promises to restore the people’s confidence in protection by the law and politics. However, there’s little changes made in improving the lives of the marginalised majority of people in the country. Several challenges ranging from the deprivation and deterioration of socioeconomic and human rights to the lack of effective mechanisms to redress communities. In particular people’s lives are degraded due to the downgrading of the country’s economy as well the loss of a world class reputation held by our financial institutions and auditing firms. Inflation has rapidly went up with disturbing unemployment and poverty levels that affect mostly women and youth. Out of population of about 55million, 17 million people is needy and dependent on social and only 15.5million people are employed.This is not sustainable as people who receive social grants are more than those in employment. This has been exacerbated by the breakdown of the rule of law, where state’s constitutional obligations were deliberately neglected and institutions of democracy undermined for holding officials accountable, especially the executive in impoverishing the country for his personal self-interest. Today, freedom day importance is its coincidence with the celebration of the centenary (100 years) of Nelson Mandela, Albertina Sisulu and other human rights icons. The country will also remember the legacy of Mama Winnie’s sacrificial choices in confronting an evil apartheid regime with all its apparatuses. It is through icon like them that made South Africa defeated apartheid. 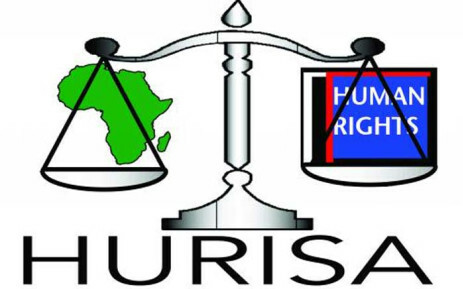 At the continental level, the African Union has declared the year of ‘Winning the Fight Against Impunity”. This year also is of an important nature at the global level where the United Nations celebrates 70th anniversary of the adoption of the Universal Declaration of Human rights. In views of the importance of this year, South Africa should review its trend of retracting from a human rights path entrenched by Tata Nelson Mandela who reassured the people as a beacon of hope and even inspired most from the SADC region as well as the continent and global community to stand against injustice. South Africans will find meaning and purpose in celebration of Freedom Day if serious measures are placed to end mysterious killings, murders motivated by political intolerance, removal of corrupted politicians that continue to be in key office, despite being exposed to be involved in serious corruption cases, such as state capture, persecution of journalists for availing truth to the public and human rights defenders for promoting human rights. What was more concerning was the emergence of state sponsored actors recruited for defending wrong doings of officials. South Africa does not need to copy apartheid divisive tactics to manipulate citizens from exposing impunity. During the past era, constitutional powers and mandate of institutions of democracy, such as the Chapter 9 Institutions like South African Human Rights Commission, Commission for Gender and Public Protector and Constitutional Court were under severe criticism and undermined for fulfilling their duties without fear, favour and prejudice. It also worrying that these institutions face amalgamation process. As this continue, fear for rendering these institutions ineffective and CGE subsumed has been raised and little is done to enable them with adequate support to address gender disparity and gender based violence in the country. While a trend of referring to civil society and human rights defenders as foreign agent for regime change was reminiscence of tyrannical leaders in the region who were sensitive to performance of human rights duties and exposing corruption and noncompliance in the country. Public servants who refused to cover maladministration and fraud also faced arbitrary dismissals, transfers and malicious prosecutions for defending the constitution and rule of law. The new leadership should do everything in its power to end police brutality in demonstrations, protests and assembly. The shooting of a young leaner in the North West Province is condemned and Minister of Police is called to ensure prosecution of all suspects and restore the rule of law, peace and democracy. Communities are desperate to live in safe environment, where service delivery will be honoured by access of water, refuse removal, maintenance of basic necessities such as street lights, functioning of clinics, hospitals, schools and safe transportation. The continuous high crimes committed to law abiding citizens, who face house break ins, car hijacking, robbery, abductions, brutal sexual violence experienced by women and children call for stronger measures and commitment from police, citizens and victims. The government should attend to the deplorable conditions and squalor for people living in informal settlements such as Diepsloot, Zanspruit, Ivory Park, Kalfontein, Alexandra are exposed to. In these places, people have no infrastructure for sewage and number of 30 community members share a pit-toilet or are subjected to a bucket system. Other areas that need improving is the taxi ranks and taxis, these place are often not well maintained and not cleaned. They are no refuse bins, toilet are often blocked and people forced to relieve themselves on sideways. Drug trafficking and abuse of young people has perpetuated their vulnerability in crime advancement for survival. South Africa remain an important country and should use its leadership role in peace mediation in the region and world to fight political intolerance, high crime, murders, persecution of human rights defender and journalists and develop a culture of tolerance, hospitality and acceptance vis a vis our fellow black African. Ensure development of a law for promotion and protection of Human Rights Defender’s in the country to perform their duties in line with constitutional and legislative framework, including regional and international mechanisms binding South Africa.